Jessica Embach Jankauskas is the founder and director of Staunton Suzuki Studio in Virginia. A thriving program with students aged 4 – 18. Previously, Jessica was an active teacher in the Wichita, Kansas area, serving as director of Suzuki Strings at Bethel College Academy of Performing Arts and maintaining a private home studio. Jessica also co-founded and co-directed Suzuki Strings of Austin with Daniel Gee in Austin, Texas. Concurrently she directed the strings program at Ambleside School in Fredericksburg, Texas. During her graduate studies Jessica taught and served as the outreach coordinator for The University of Texas String Project. As a clinician, Jessica has taught at the Greater Austin Suzuki Institute, Amarillo College Suzuki Program, Hurst-Euless-Bedford ISD Spring Workshop, Monarch Suzuki Studio Chamber Music Camp and Winter Workshop, and The University of Texas Longhorn Camp. 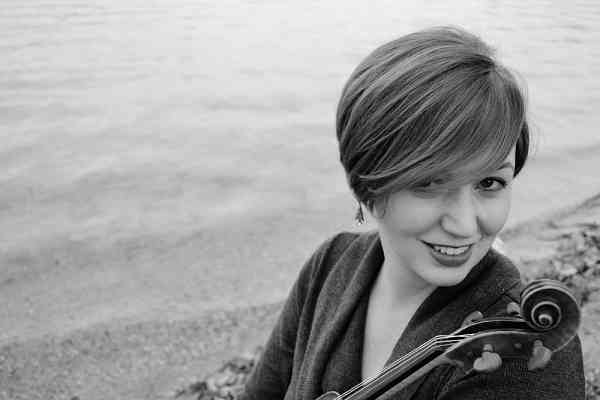 In 2010 she presented at the American String Teachers Association National Conference in Santa Clara, California.Jessica received her Masters degree in Music and Human Learning from The University of Texas at Austin with Dr. Robert Duke and Dr. Laurie Scott. She completed her Bachelor degree in Music and Russian from the University of Iowa. Jessica is an active viola performer. As a chamber musician, she currently performs with Caravanserai, a flexible chamber ensemble in Staunton and works frequently with the Bloom Trio. She has held orchestral positions with the Round Rock Symphony, Dubuque Symphony and Waterloo-Cedar Falls Symphony and enjoys playing as a substitute with the Charlottesville Symphony. She is an avid reader, gardener, and nature journal keeper, and enjoys sharing her love of music with her two children.